Dear Crissy is giving away a Lenovo Laptop Computer! 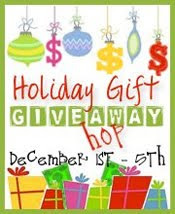 Dear Crissy is hosting a Holiday Hop- with $625 in Gift Cards from Multiple Sponsors! The finger-print reader! Whoo hoo! Sounds amazing! Great giveaway! 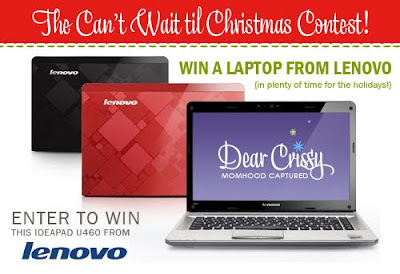 I'm a fan of the Official Lenovo Fan Site! I "liked" Dear Crissy on FB! ".. You know how I always win stuff? Well, my gift for the holidays is your chance to win something too! " Lady Caitie- please follow the link in the post above to enter the giveaway. I sent you an email, but here is my current giveaway - a chance to win a Silhouette SD machine. hi KNK- this is for USA residents only. I just updated the post- thank you! I just emailed you my new Rosary Bracelet Give-away. It lasts till next Sunday and begins today! Hey guys I just sent an email but I'm giving away a "vintage" Owl necklace!! Click here to sign up! !